Madeline Dyer Swims with the Mermaids! Hi Madeline! Welcome to the Waterworld mermaids! I’ve read your first book, Untamed, and absolutely loved it. 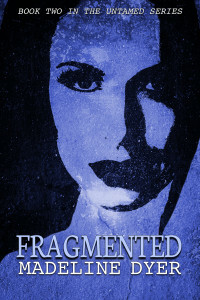 I am soooo looking forward to reading Fragmented, which releases in a few short days on September 7! We’re absolutely thrilled to have you here, and we hope you enjoy splashing in our lagoon! 1. Can you tell us a little bit about Untamed and Fragmented? Sure! Untamed and Fragmented are books one and two in my dystopian fantasy series (the Untamed Series), about addiction, betrayal, and loyalty. Untamed begins in a world where an estimated 95% of the population are addicted to chemical augmenters that only allow them to feel positive emotions. These ‘Enhanced Ones’ believe it is their duty to ‘save’ the remaining people—the Untamed—from the fear and anger that is within them, and thus make society a safer place. And the Enhanced Ones will stop at nothing in their quest to convert all the remaining Untamed. The problem is that augmenters, while preventing a person from feeling anything negative, also destroy a person’s humanity; mankind is becoming more and more robotic, and full of artificiality. And, if the Enhanced Ones get their way, there’ll be no natural, Untamed humans left. Our main character, seventeen-year-old Seven Sarr, is one of the last Untamed humans in the world, and as a powerful Seer she soon discovers that she alone has the power to save one race. But, after being kidnapped and converted by her enemy, Seven discovers that the Enhanced Ones’ lifestyle might not be as bad as she was led to believe… Torn between two worlds, Seven must work out who she really wants to be, and decide which side she will fight to save—a difficult feat, given that she’s already becoming addicted to the Enhanced Ones’ augmenters. Book two, Fragmented, continues Seven’s story as an elusive Untamed tribe offer her refuge and safety from the Enhanced Ones. But the Zharat tribe’s lifestyle is a far cry from what Seven’s used to, and with the Enhanced still out there, nowhere can really be safe for her. Least of all when she discovers that everyone has a hidden agenda. The secrets and lies just keep getting bigger—and then there’s also an arranged marriage thrown into the mix too, when the Zharat demand that Seven must marry into their tribe. If she doesn’t, she’ll die. And, without her, the Untamed cannot win the war. 2. What inspired you to write these books? 3. Will there be a third book, or does the series end with this second book? What are you working on? There’ll be four books! I’m currently working on Divided, book three in the Untamed Series, and I am just so excited. Aside from this, I’m also working on a standalone dystopian and editing a multiple-POV thriller about a girl’s abduction. 4. These books are YA dystopian, which is one of my favorite genres. Can you tell us how you decided to write in this genre, and will you continue to do so? What are some of your favorite YA Dystopians? Untamed was the fourth full-length manuscript I completed, but it actually started off as a bit of an experiment and was my first foray into writing dystopian fiction! Before then I’d only written urban fantasy and science fiction (both of which I long to return to!). But I’d always wanted to write a YA dystopian, and as soon as an idea had begun to form, I sat down and began writing to see what happened. And I soon discovered that I absolutely loved writing the genre as much as I loved reading it! I’ve currently outlining another dystopian series at the moment, so I really hope to keep writing in this genre. Some of my favorite YA dystopians include Teri Terry’s Slated, Moira Young’s Blood Red Road, and, of course, Veronica Roth’s Divergent and Suzanne Collins’s The Hunger Games. 5. How did you start writing? I’ve always wanted to be a writer—the desire’s always been there. Once, at school when I was about seven or eight we were allowed to write stories in class, and then the next day we had to type them up on the computer. As I typed mine, I kept changing stuff and writing new scenes, taking other stuff out, and I never finished typing it up as we only had a couple of hours to do it in. But it was then that I really realized that I wanted—needed—to be a writer. And I kept writing stories. First about fairies, and then about the wild ponies that lived on the moors near my house. But, not all my teachers were very encouraging about my dream. I distinctively remember one of them, when I was about fourteen, telling me I’d be better suited to being a carpet fitter instead. Yeah. I know. After that, I began being more secretive about my writing. But I wanted to prove that I could do it. Aged sixteen, I began sending off my fantasy short stories, and a couple of months later, I got my first acceptance letter. My debut short story, “The Silent Siren”, appeared in issue three of Iron Bound Magazine. And, in the three or four years that followed, I had about fifteen more short stories published—online, in ezines, and print and ebook anthologies—by Mirror Dance Fantasy Magazine, NonBinary Review, and Mad Swirl, to name a few. During that time, I also began to focus more on novel-length manuscripts as full-length stories were my first love. I completed my first novel (a 137,000 urban fantasy manuscript that is still in my drawer) when I was seventeen. And I completed the first draft of the manuscript which became my debut novel, Untamed, when I was eighteen. A year later, and I had four offers on the table for it, and signed with Prizm Books, the YA imprint of Torquere Press. But it was only when Untamed released a year later, when I was twenty, that I began to really think of myself as a writer. 6. You’re quite young to be a published author, which I find amazing and impressive. Can you tell us about some of the challenges you face as a younger writer? Thank you! I think the main challenge I’ve experienced with being a young writer is that a small portion of readers don’t take me seriously—or they think that my work got selected because of my age and not because of my writing. I’ve had people message me out of the blue before telling me that my work (which they haven’t read) can’t possibly be any good and that they’d never buy it because I’m young. Those comments can hurt a bit, and make me doubt myself, but I try to remind myself that when I was querying my short stories and Untamed, I never told the publishers my age until after the contracts had been signed—if I even told them at all! On the other hand, I’ve had other authors message me saying that my age is a bonus because I’m writing for a YA readership and I’m pretty close to that audience still. So, I think of my age as both a blessing and a curse! Thank you soooo much for joining us! 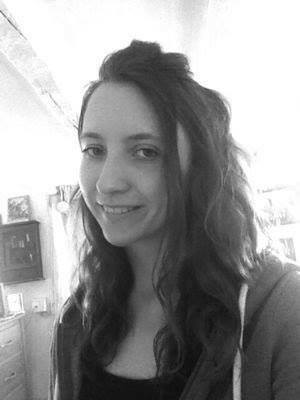 Madeline Dyer lives in the southwest of England, and holds a BA honours degree in English from the University of Exeter. She has a strong love for anything dystopian, ghostly, or paranormal, and can frequently be found exploring wild places. At least one notebook is known to follow her wherever she goes. 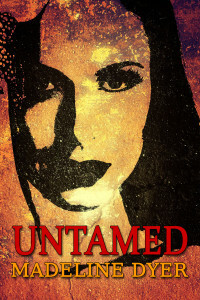 Her debut novel, Untamed (Prizm Books, May 2015), examines a world in which anyone who has negative emotions is hunted down, and a culture where addiction is encouraged. 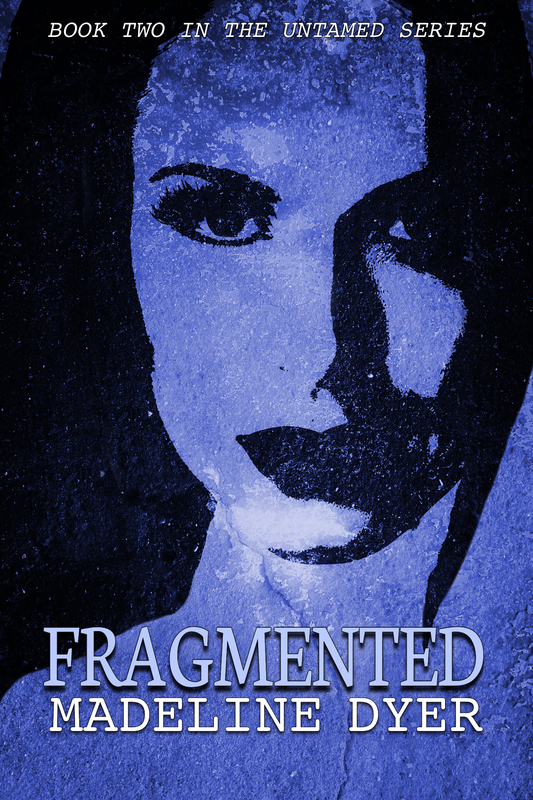 Her second novel, Fragmented, is set to hit shelves in September 2016. “From the first line, Untamed pulled me in. This is the sort of book that is incredibly difficult to put down… as a person who rarely reads fantasy/sci-fi but grew up with it always on the nightstand, Dyer’s book reawakened in me a buried love for the genre.” — Jen Knox, author of After the Gazebo. Fragmented (Untamed Series #2) – releases 7 Sept. 2016!